Students excel when they have the right foundation for learning – and nothing proves this theory more than the Building a Bridge to Improve Student Success (Bridges) program at Western Connecticut State University (WCSU) in Danbury, Connecticut. The program, which began in 2005, started as collaboration between professors at WCSU and teachers at two neighboring high schools. The program helps to improve academic performance before students enter the university, and ultimately saves money by avoiding the need for remedial classes. 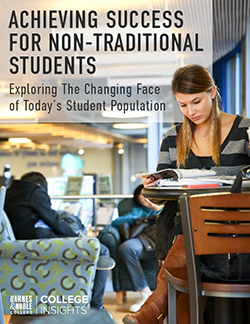 When the program first started, more than 60 percent of students from the two high schools required remedial writing and/or math when they arrived on campus, according to WCSU’s website. By fall 2010, five years later, those levels had fallen dramatically. Only 13.8 percent of the WCSU college freshmen from the two neighboring high schools required remedial writing and 32.8 percent required remedial math. Students who participate in the Bridges program are more likely to stay in school after their first year of college. Eighty-one percent of Bridges students who started at WCSU in the fall of 2009 returned for their sophomore year, compared with only 73 percent of students who were not involved with the program. And just as significant, the two-year retention rate for Bridges students is 21 percent higher than for students from non-Bridges schools. In addition to the Bridges program, WCSU also offers the Educational Achievement & Access Program (EAP). The five-week summer program helps students develop the academic skills needed for college academics and student life. Barnes & Noble College, which has managed the WCSU bookstore since 1999, supports this much-needed program by providing each EAP student with a gift card for purchasing school supplies at the bookstore. The need to address high school students’ under preparedness for college is a national problem. 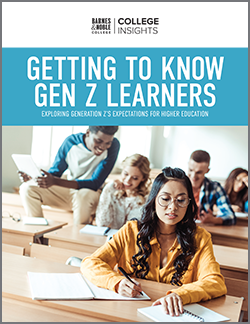 According to the 2008 Strong American Schools study, a project of the Rockefeller Philanthropy Advisors, more than one-third (38%) of full-time college students needed remedial classes. Remedial courses in reading, writing or mathematics are for students lacking the ability to perform college-level work required by the institution they are attending. Learn more about WCSU’s Bridges and EAP programs by visiting www.wcsu.edu.